In 2017, the Trump administration instructed all federal agencies to review their operations and propose opportunities for efficiency gains. As part of this effort, the administration published its reorganization proposal for a number of agencies and functions. While the U.S. foreign assistance community has seen its share of unique surprises over the last 20 months, the administration’s disruption of the status quo has presented an opportunity for positive changes when it comes to reforming organization. The development community took the call for reform as an occasion to reinforce core aid effectiveness principles. The community published its recommendations for an effective redesign of the U.S. foreign assistance architecture, reflecting wide agreement among 170 leading organizations in the international affairs community. Following the call for review, USAID review, USAID, under the leadership of Administrator Mark Green, submitted a detailed proposal for its restructuring to the White House’s Office of Management and Budget and subsequently to the Congress. The proposed reforms include reorganizing offices, leadership, and bureaus with the goal of making the agency more field-driven, results-oriented, and collaborative with partners, including the private sector. The proposal maintains USAID as an independent lead aid agency exclusively focused on development and humanitarian response. Development and diplomacy are separate disciplines with separate missions and their structure and leadership must reflect this. 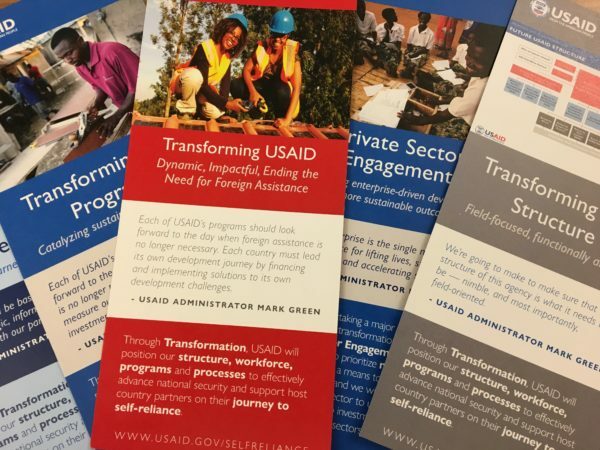 Now is the time for Congress to ask how these reforms will strengthen USAID as the lead development agency, ensuring clear lines of authority and accountability for development and humanitarian programs. The proposal joins policy, budget, and program performance functions together to form a new Bureau for Policy, Resources and Performance (PRP). The Bureau contains an office of learning and evaluation and is responsible for compliance with the Foreign Aid Transparency and Accountability Act (FATAA). A stronger and more centralized structure for policy, budget and planning, and integration across these related functions, is a welcome change that will enable the agency to more effectively mobilize resources around policy; not the other way around. The plan includes reforming procurement practices and aligning structures with functions, as well as streamlining coordinator positions. This is an important effort to better align and empower bureaus and offices. The reorganization plan reflects Administrator Green’s goal of achieving self-reliance for partner countries, which focuses on ultimately leading to responsible transitions from development assistance. The reorganization plan highlights and centralizes key functions that bolster partner country’s capacity on their journey to self-reliance. These include redefining domestic revenue generation as a governance issue; centralizing private sector development finance functions within a Private Sector Engagement Hub; focusing and strengthening response to humanitarian crises through a newly created Bureau for Humanitarian Assistance; and an increased emphasis on addressing fragility and building resilience. The agency committed to conducting a transparent and collaborative process in developing this reorganization plan. The agency consulted widely. It held 165 external consultations with partners and community members and nearly 70 meetings on Capitol Hill to listen to concerns and suggestions. The proposed plan reflects the community’s call for features that are critical to making U.S. development more effective, efficient, and accountable. This is a positive step forward for reform. However, the administration must also request adequate funding to carry out its mission. 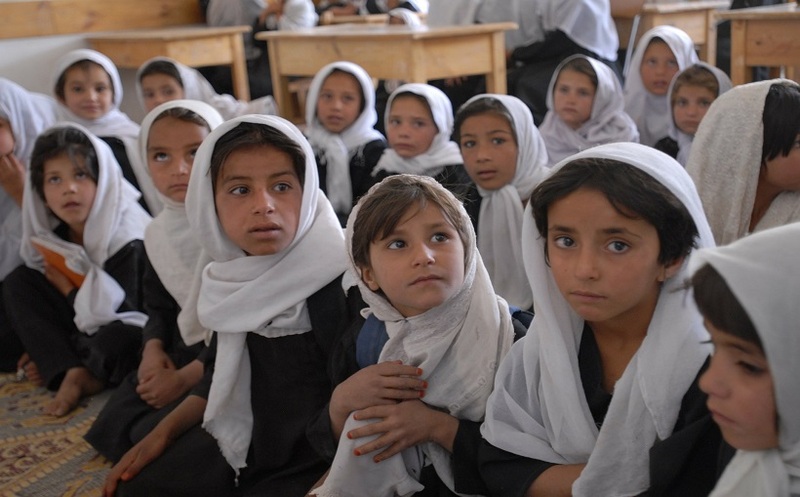 The administration has not requested sufficient resources for USAID, which is critical for staffing, accountability of programs, innovation, and learning initiatives. USAID should continue working with an engaged Congress, the development community, and country stakeholders to fine-tune the proposal, ensure sufficient funds for implementation, and minimize program disruption.